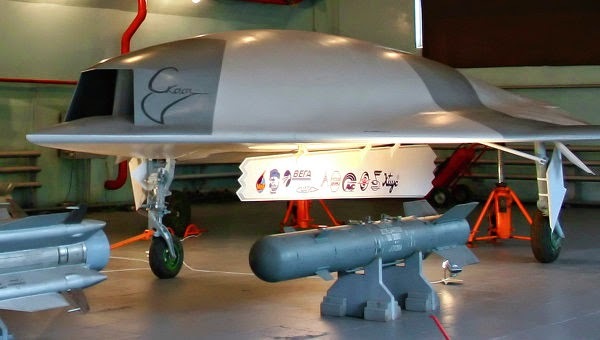 Russia may begin to develop advanced unmanned combat aerial vehicles (UAV) with longer flight endurance in 2014, Deputy Defense Minister Yuri Borisov told reporters Thursday. "We are ready to consider starting a development work this year with plans to complete it and move on to the official tests or experimental military use of future devices in 2017," Borisov said. The project is being developed by the Ministry of Defense together with the Kazan-based Sokol company, recently renamed after prominent Russian aircraft designer Mikhail Simonov. The deputy minister noted that the company had listened to critical comments, and in the past year and a half the program was revised and positive changes are already noticeable. "I am convinced that all of the components for the future project and the results of the research work, which is almost finished, may allow us to start the development with minimal risk. We have already decided that we will start our work this year," Borisov stated. The deputy defense minister stressed that reconnaissance and assault drones are in high demand today, and that the Russian Ministry of Defense pays special attention to this area. In the future, UAVs will be able to solve strategic military problems due to their stealth and greater combat stability compared to manned aircraft, Commander-in-Chief of the Air Force Lt. Gen. Viktor Bondarev said.